Peter met Andrea 16 years ago at the Disco night at Takapuna Hall He attended this event once a month at that time. So, Peter has been in contact with Andrea since then. Although they live separately, they keep regular contacts via phone calls and take turns in making calls. Peter calls Andrea every Tuesday, Thursday and Saturday; while Andrea calls Peter every Monday, Wednesday and Friday. Once a fortnight they will take a turn making a call on Sunday night with staff’s help to remind them whose turn. Peter explained that he has changed for Andrea now. He is no longer being ‘the boss’ and he wants Andrea to become one instead to make Andrea happy. He also mentioned that he wants to be nice and kind to Andrea. Peter proudly recalled that he has given 8 engagement rings to Andrea. 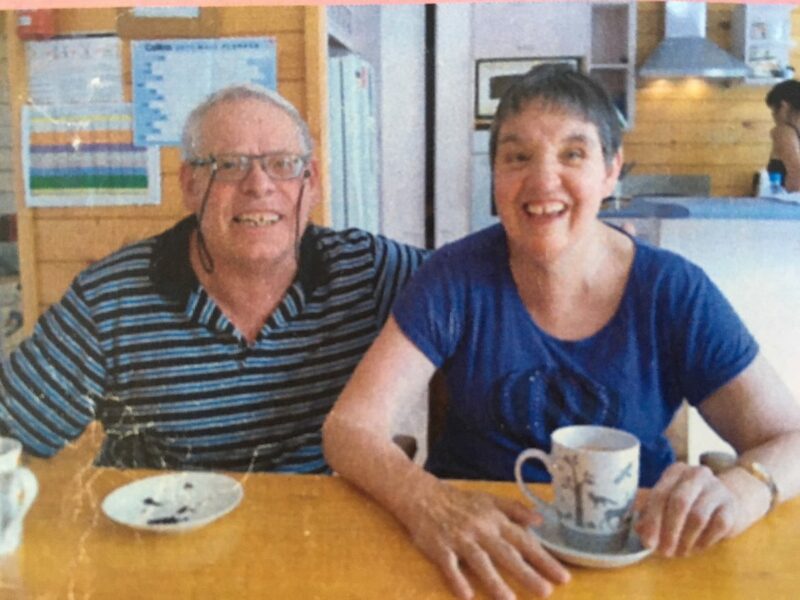 As part of their regular contacts, Peter will have dinner at Lauderdale with Andrea once a month. He will be dropped off by staff at 3pm and be picked up at 7pm. 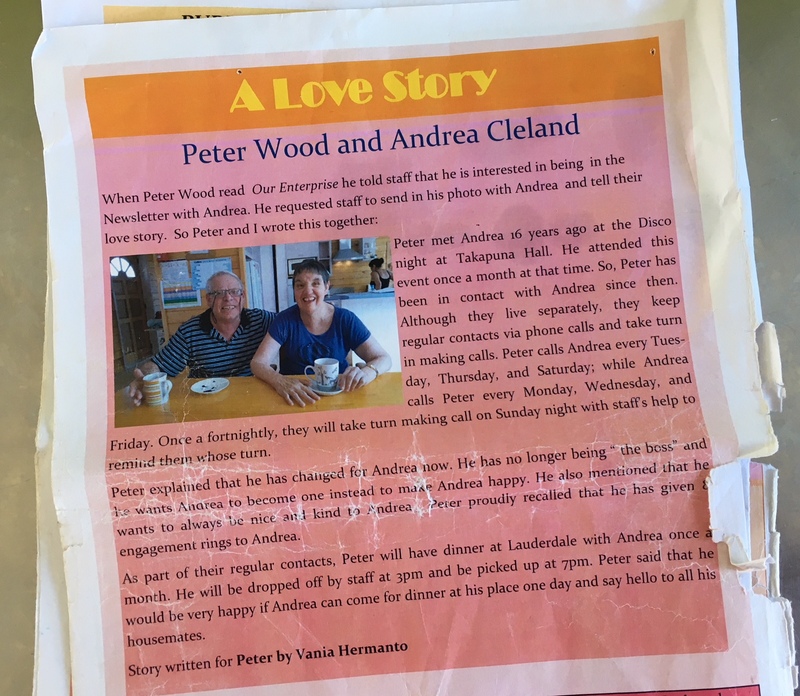 Peter said the he would be very happy if Andrea can come for dinner at his place one day and say hello to all his housemates.